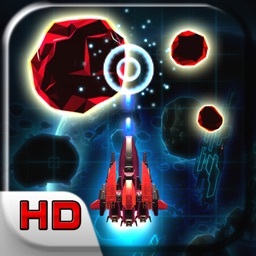 Space Inversion is the highly rated arcade Invader style shooter and it's back with a vengeance! 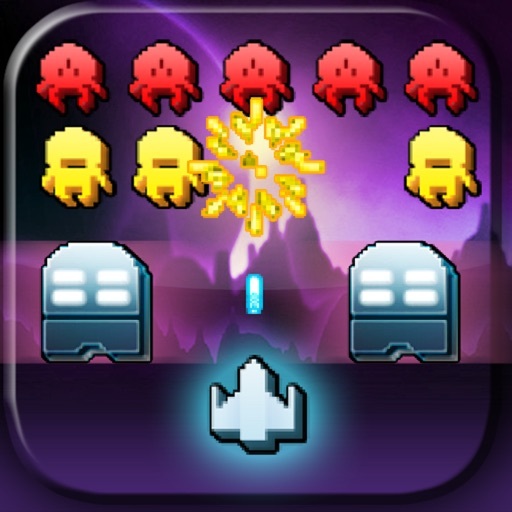 bigger and better than ever before and now featuring a new Arcade mode with regenerating aliens and power ups to even the odds. 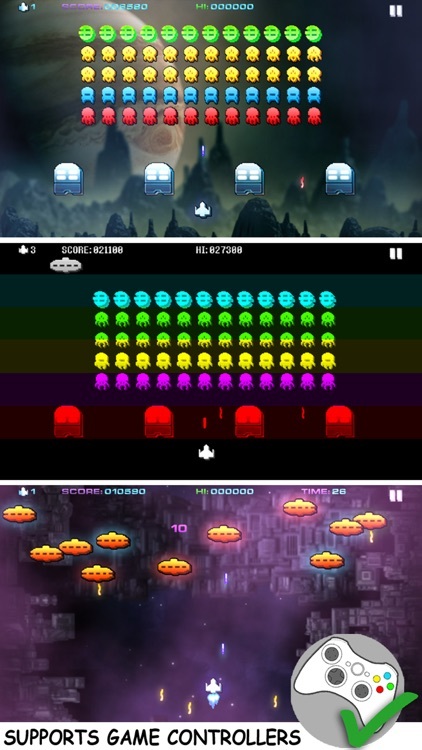 New bonus "Meteor Storm" and "Flying Saucer" rounds add yet more thrills and the chance to rack points up for extra lives. 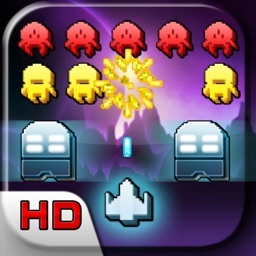 There's also a Classic mode for those wanting a slower paced more traditional game. 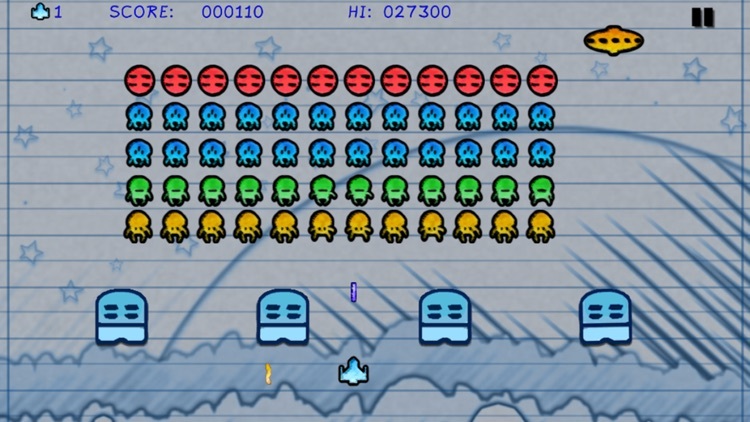 "Space Invaders is pure addictive fun !" "This is Real retro fun. Get it and enjoy"
"Very good. Better than the original from the 70,s !" 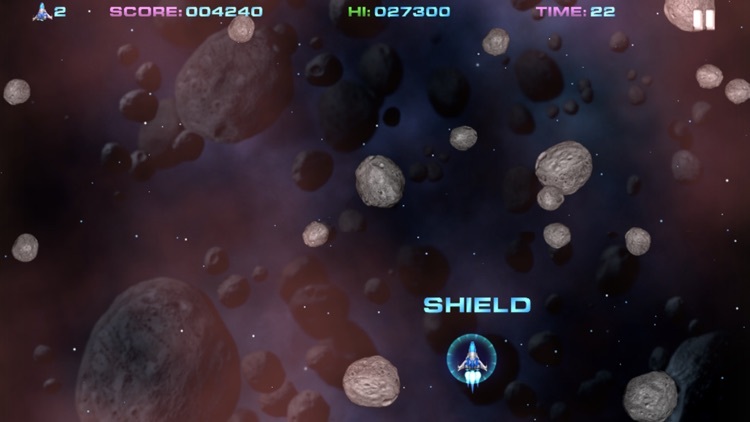 "One of the best arcade clone games!" "great game...worth getting the expansion also.....great replay value....graphics,sound all there. Five stars for me !" 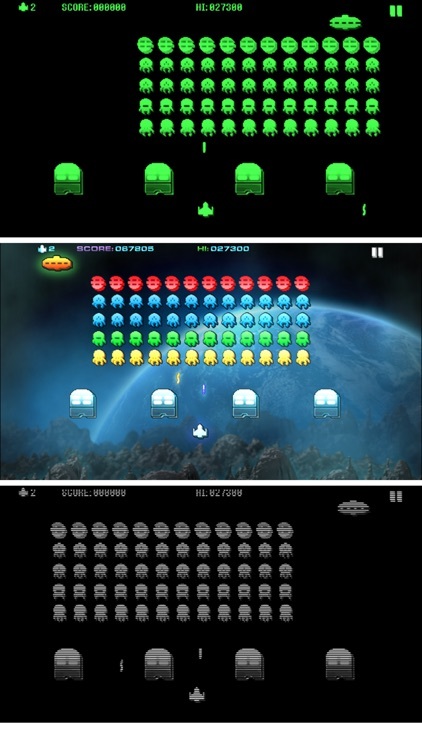 "Played this game many times and keep coming back to try to beat my score. Really good fun ." 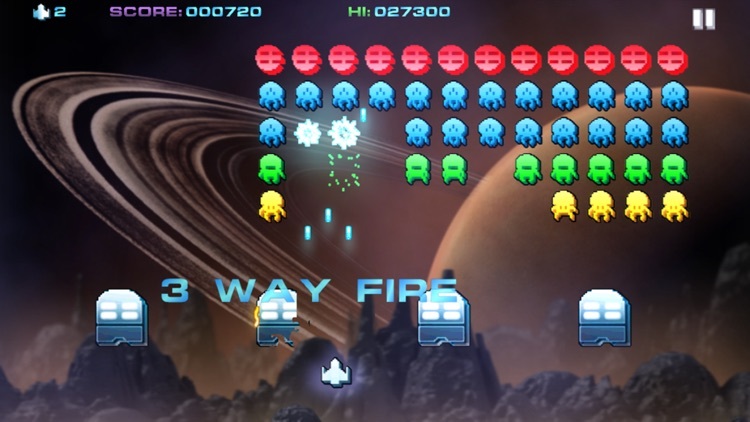 Space Inversion 2 offers multiple controls systems including Buttons, Joystick, Tilt and slide. Left handed options are also available plus you can even finely adjust the positions of all the controls on screen so you can get it exactly how you like it. Fire modes include manual, semi-auto and auto fire. 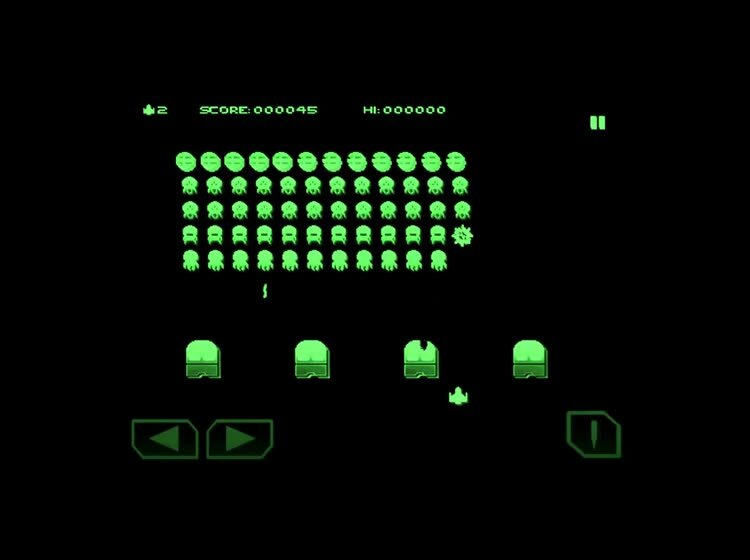 Game Center Leaderboards lets you complete for the best scores in the galaxy. * Out of this world music and sound effects. 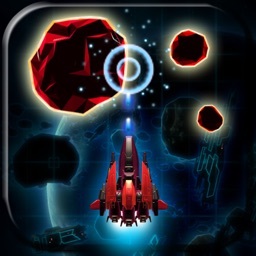 Please help us to make Space Inversion 2 even better by rating it at the App Store. If you have any issues with the game let us know and we will endeavour to address them in updates. 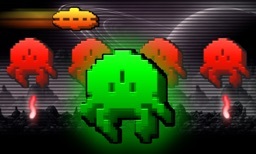 *NEWS* - please also check out our brand new Retro Style arcade game 'Retro Dust' - OUT NOW !! !